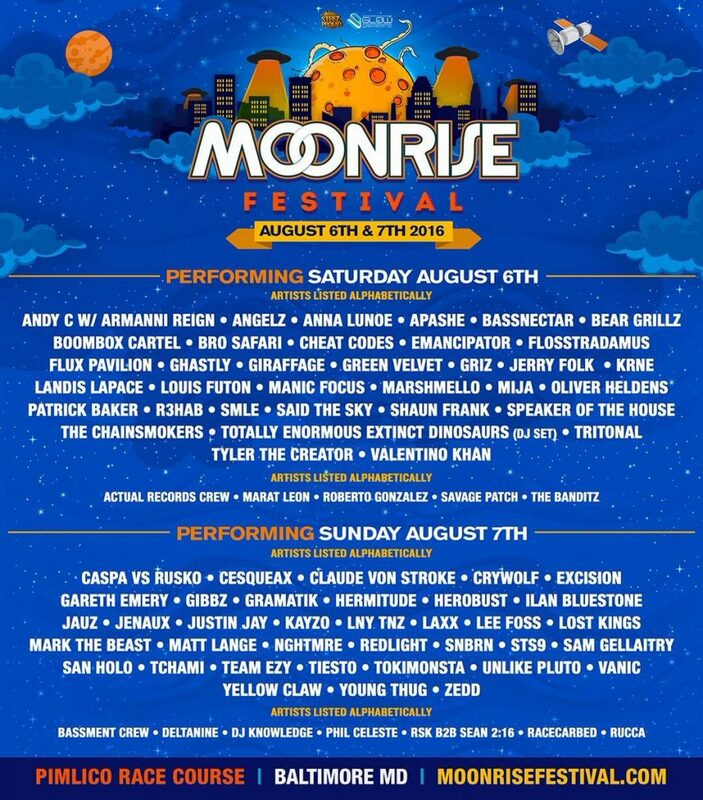 With less than a month until Moonrise Festival in Baltimore. The two day festival will be the 6th and 7th of August and featuring some of the best in electronic music today. Earlier today, July 20th, the festival released an alphabetical breakdown of who will be performing on what day. That breakdown is listed below. Our Day by Day Lineup is here! Check out who's playing each day! Our Day by Day Lineup is officially here! Check out who is playing each day this August 6th & 7th!